Humble Deluxe Edition also available. The soundtrack and five exclusive Rag dolls. 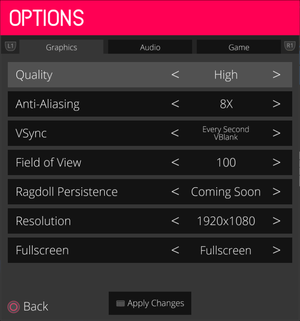 Maximum listed resolution is 1920x1200; see Widescreen resolution for higher settings. Every VBlank and Every second VBlank. Maximum resolution without these steps is 1920x1200. 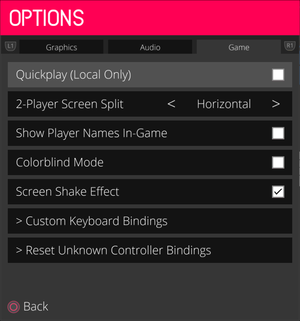 Adjust the Screenmanager Resolution values to your resolution. 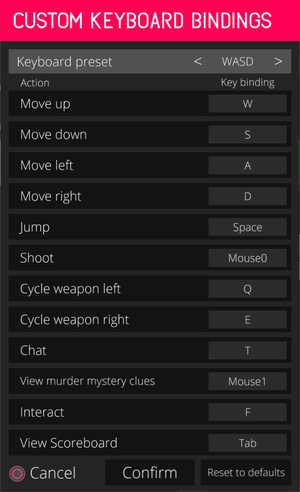 Input settings, profile specific so every player can choose their own setting. 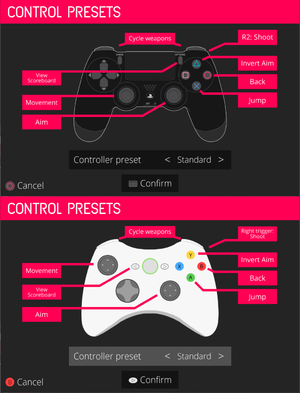 Controller preset changing for DualShock 4 (top) and Xbox 360 controller (bottom). 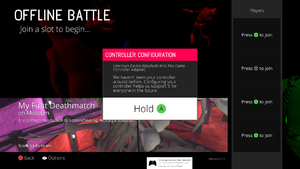 Plugging in unrecognized controller in lets player bind buttons into 360 buttons. 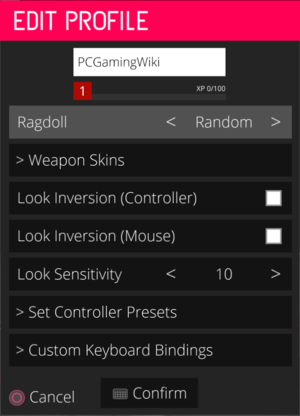 Several presets and custom. 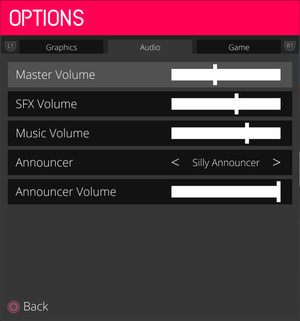 In-game player profile specific setting. Only regular and left handed presets. Unknown controllers can be initially mapped, but are mapped to 360 button layout. Master, effects, music and announcer. 8 Only one keyboard and mouse, other players require controller. 8 Due to game's nature, online multiplayer is splitscreen as well. Supports up to eight local players. 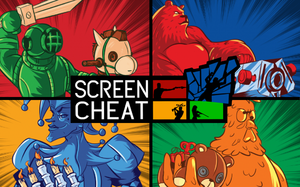 Screencheat uses Photon Realtime to handle connections. This page was last edited on 27 January 2019, at 01:40.